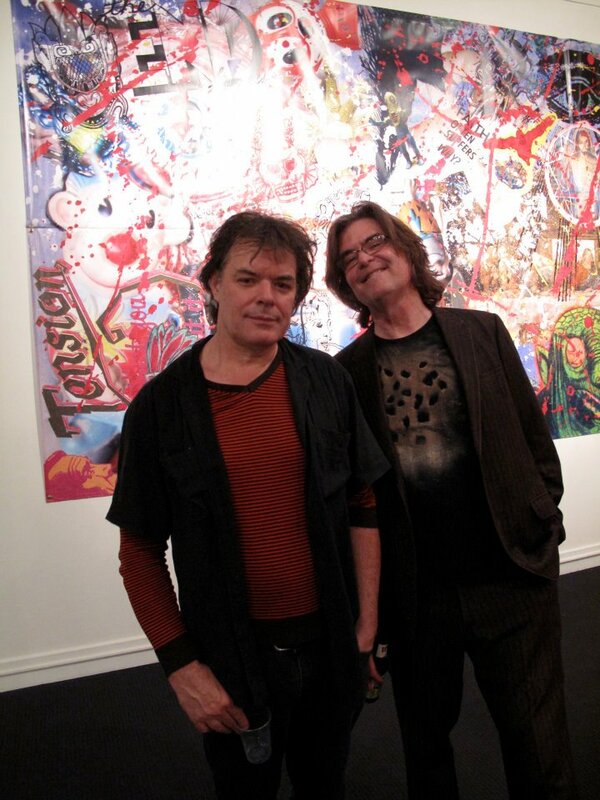 Ben and Roger at Destroy All Monsters event, 2012. Photo: Cary Loren. 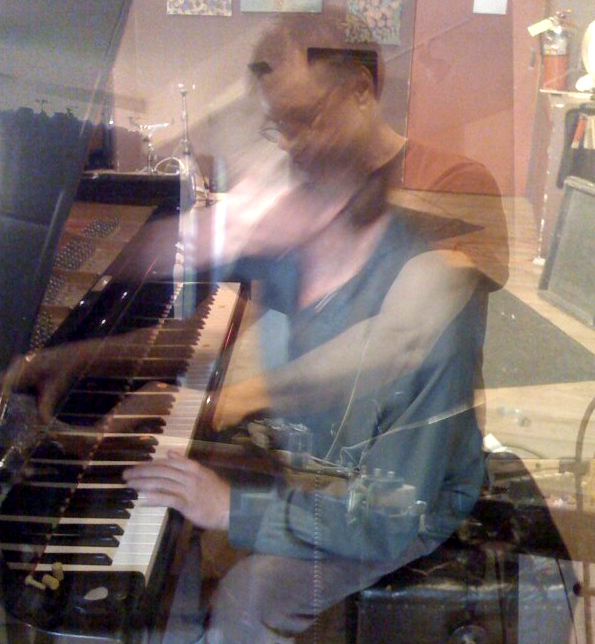 M2 is two Miller brothers: Roger (Boston: Mission of Burma, Sproton Layer and Alloy Orchestra) and Benjamin (NYC: Ben Miller/degeneration, Sensorium Saxophone Orchestra, Sproton Layer and Glenn Branca Ensemble). Their first album, AT LAND’S EDGE, is now out on Feeding Tube Records (LP-only with download card). Mark Brahce, producer of WITH MAGNETIC FIELDS DISRUPTED. Video: M2 live, June 23, 2012. Armory Cafe, Somerville, MA. Benjamin plays his unique “Multiphonic Guitar” which involves multiple pickups, preparations, and electronic devices modifying sounds after the fact. 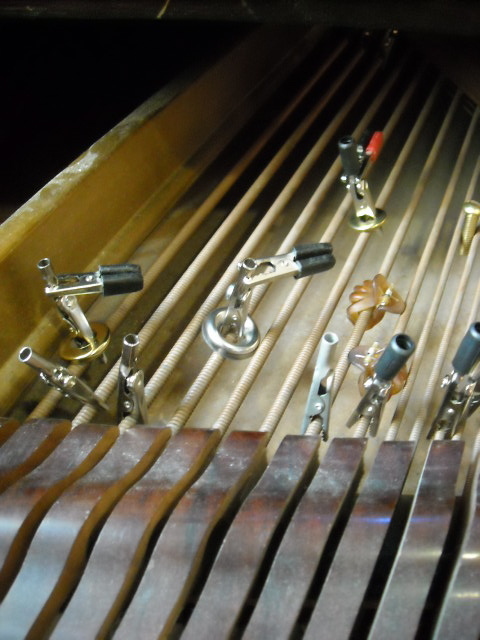 Roger plays Prepared Piano, utilizing bronze bolts and alligator clips (and many other items) stuck on and between the piano’s strings to completely alter the sound of the instrument. Their unique sound palette is at times ambient, at times rhythmically pulsing, and at times aggressive. Between the two of them, the usual sounds of a piano/guitar duo are thoroughly avoided. The music is entirely improvised, with bravura technique sublimated for ensemble sound. It is the gradual, occasionally sudden, shifting and interplay between the two brothers that defines their sound. They have been playing/improvising together off and on since 1969 (beginning with the psych-rock band Sproton Layer), so there is an effortless give and take in their interaction. AUDIO: M2: Looming Edit, from “M2: At Land’s Edge”. AUDIO: M2: Pitch Lake Edit, from “M2: At Land’s Edge”. 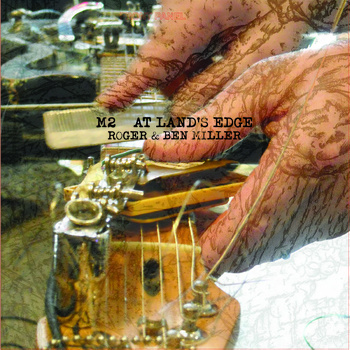 AUDIO: M2: Tenuous Properties of Navigation Edit, from “M2: At Land’s Edge”. AUDIO: M2: Epicenter and Aftermath Edit, from “M2: At Land’s Edge”. 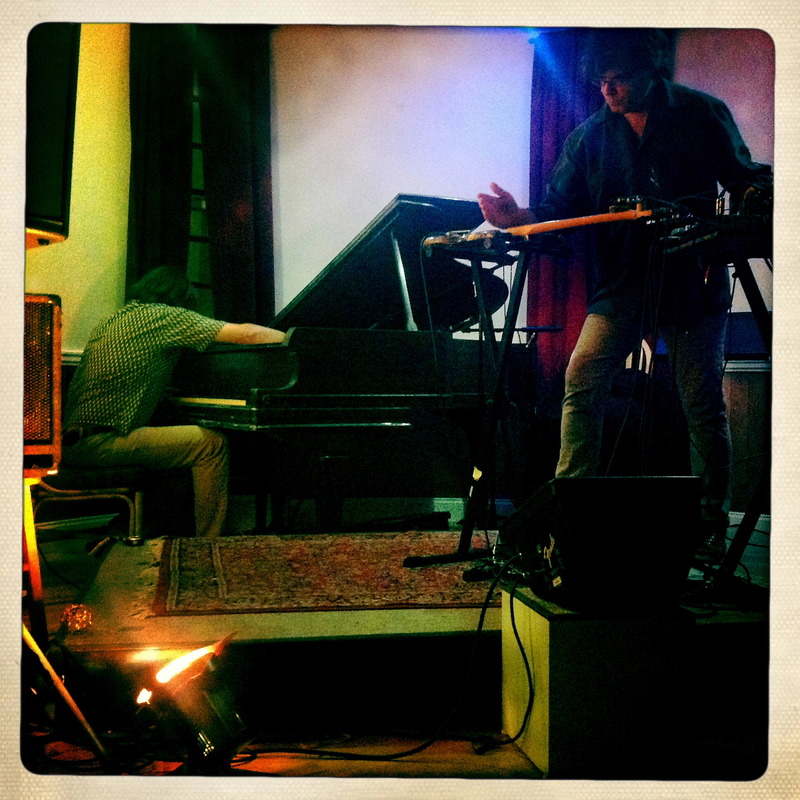 Their show for the Table of the Elements COPERNICUM FESTIVAL (May, 2011) at the Issue Project Room (Brooklyn, NY) was very well received. 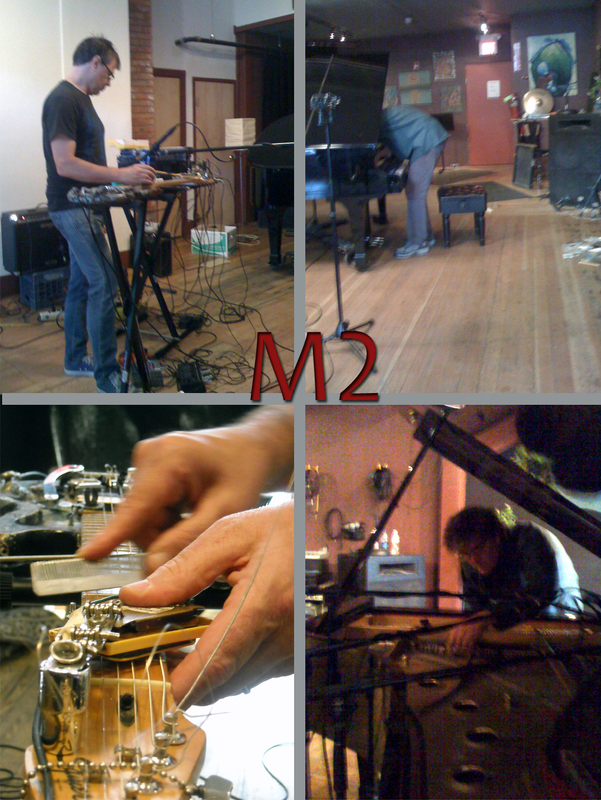 It was only their third performance, but had the fluidity that defines the M2 sound. M2 is currently plotting their next album. M2 in Action. Photographs by Michael Bierylo. Collage by Benjamin Miller. The CD is a limited edition of 50 on Hikikomori Records, based in Denmark. Roger is on bass guitar with looping and other devices – basically ELEMENTAL GUITAR for bass; his brother Ben is on “multiphonic” guitar (same as in M2) with looping and other devices, and Matt Weston is on drums and synthesizer (hence: MMW). 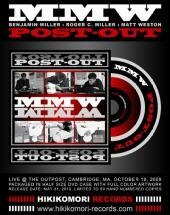 This is what is called “Free Improvisation” – i.e., it is 100% improvised on the spot (in this case at The Outpost in Cambridge, MA, in October, 2008). Any direct reference to “traditional rhythms” or “traditional harmony” is rejected from the get-go (though there is much information that is obviously “music”, and that reflects various traditions/methods of musical order). This music is far from “for everybody”, but if you have open ears, there is definitely a lot going on. Matt’s drumming involves blowing on his tympani drums, producing unearthly sonics; Ben’s innovative “multiphonic guitar” work is well-known to on the avant-scene, in many different settings; and Roger’s use of live loops turn his bass riffs inside out. Between the three of players, sounds are sculpted, built, deconstructed, and turned into “music”, without any “beats” or “chord progressions” in sight. Not bad for a classic “guitar/bass/drum” trio. See ya later, Cream…..
“This music is extremely abstract, but it’s immediately obvious that the musicians are totally in tune and listening to each other.” – Mark Brahce, producer of Sproton Layer’s 1970 album: “With Magnetic Fields Disrupted”.